We’ve had a lot of rain in our area of Kansas lately. A LOT. With all the rain, we’ve learned how to take advantage of any time that it’s NOT raining and get outside. Even with dark clouds that threaten to drop moisture, we jump at the chance to get outside. We were taking advantage of one such moment this week. We were itching to get outside that morning. So, even with dark clouds, we ran out: bat, glove, and ball in hand. We were going to play baseball! My girls grabbed their bikes and started their circle on the driveway, waiting their turn to bat. My 5 year-old son and I stepped onto the (very soft) yard to play some ball. Not long after we started, we started to feel some moisture. It wasn’t big drops of rain, but there was a drizzle. No big deal. We kept playing. In a few moments, it started to sprinkle. Okay, still no big deal. We kept playing. Suddenly, like someone flipped a switch, it started to rain. Not just rain. DOWNPOUR. The little kids started to squeal with glee as we ran for the garage. We watched the rain fall, dropping into the seemingly-permanent puddle in our driveway. We got caught in the rain. We ignored the signs of the downpour. We didn’t want it to rain. We wanted to play. But, rain came, as the clouds had promised. Wow. Did I just say that? Yep. I did. Harder drizzle. God crosses his arms, looks at the sky, and then looks knowingly at me. Maybe He tilts His head toward the open garage. Did I just do it again? And God shakes His head at me and my childish ways of disobedience. I failed the “listen to God” test. Again. Honestly, I know I’m getting really deep about a little rain. But, I do this in my life. I ignore the signs and the things God is trying to tell me. Then I act surprised when it pours! I scored an F on that test. But, it was a reminder (one of many in my life) to stop ignoring God’s quiet voice in my heart. It was a reminder to slow down and pay attention to what He may be trying to tell me, even when I’m busy doing what I want to do. I was sure a fool that day. And many other days when I don’t listen to God’s quiet signs about what I should be doing. It was just a little rain, yes. But it was a lesson. A lesson to stop being a fool and wise up. And listen more closely to God. The wonders of a free will. We have the choice to choose to obey or disobey. He is so gentle with his direction but sometime he has to bring a storm to get our attention. Parenting is so much like this our children test us we tell them we direct them and we warn them. And as you know sometimes or more like a lot of the time they choose. And that choose leads them to pain. It is hard to watch but it is that pain that draws them closer to God Hopefully. Because we step outside of our umbrella of protection by disobedience Satan has a free shot at us because when we choose to be definite we choose Satan’s ways. And we get a storm big or small we get a storm for disobeying God. I heard a preacher explain it this way. Shake my right hand if you choose Jesus. Shake my right hand if you choose satan. No matter what decision you are making we are deciding to walk with Jesus or not. And if we are not then we have chosen satan. There is no gray geound. I think we all try to sinfully find the gray but there is not gray it is black or white. Satan or Jesus. OopS I am Hannah not dana I was writing dana. Thank you for reading, Hannah!! God is so gracious that even when we miss His voice, He never stops talking. I don’t think that fact will every stop blessing me – that when I’m too busy, rushing, and the still small voice is something I ignore rather that stop and listen too – He teaches me and then keeps on giving me chances to listen. And sometimes, He even lets us play in the rain. Blessings, Dana – visiting from the #raralinkup today. I LOVE that He never stops talking. I get irritated when I’m trying to talk to someone and they aren’t listening (and I can tell they aren’t listening). I just stop talking altogether. I’m glad God doesn’t get irritated with me!!! I love when God gives us life lessons in the little experiences of every day life… like rain! That is why I depend on His grace and mercy Every. Single. Day. All I can say is …Thank you JESUS! He continues to pick me up and straighen my path! That is beautiful, Danise. You said it right! Thank you for reading and adding your comment! You delight me! Dana, it was so much fun reading this! I think you got me at the picture. Smiles all over the place. Sometimes, we have to be soaked with God’s message to get it – trust me I have learned this way too. ha! Keep being awesome you! 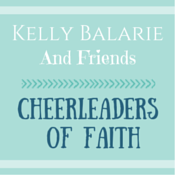 Cheering you on from the #RaRalinkup on Purposefulfaith.com. Kelly, I’m humbled by your words. Thank you. I love your comment “we have to be soaked with God’s message to get it.” Haha! So true!!! Thank you! I think we need to be reminded often to listen to God in the small things instead of waiting until things are out of control. We won’t always get it, but God is so patient with us. He’s so faithful. I loved reading your story and could almost hear the squeals of the children caught in the rain. That used to happen to us a lot when my children were young. We had an above ground pool and sometimes we wanted to swim so bad we’d ignore the warning signs of rain. We’d end up waiting until the last minute to get out of the pool. Sometimes it was only a short thunderstorm and we would wait it out on the porch and then go back in when the sun came out again. Gayl, I can remember doing that with a friend who had a pool as well. We just wait for the rain to stop and get back in the pool. I can remember swimming in the rain (no lightning) too. Those were fun times!